ISV Venture Star. 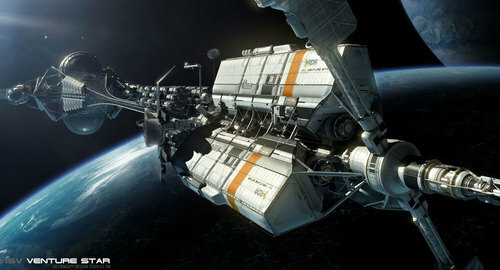 The ISV(Interstellar vehicle) Venture Star is designed to be a transportation vehicle to travel from Earth to Pandora. It's length is about a mile long and it's cruising speed is 210,000 kilometers per second(70% of lightspeed).. HD Wallpaper and background images in the Avatar club tagged: isv venture star transport space vehicle.